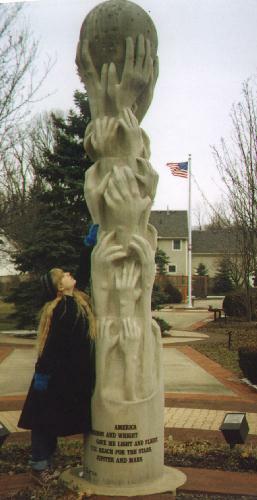 SwankiVYPics: My trip to Ohio! 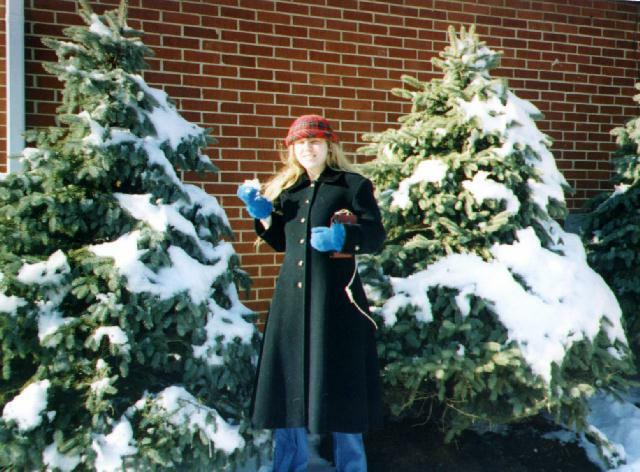 Pictures of when I visited my lovely friend Bunky in snowy Ohio! 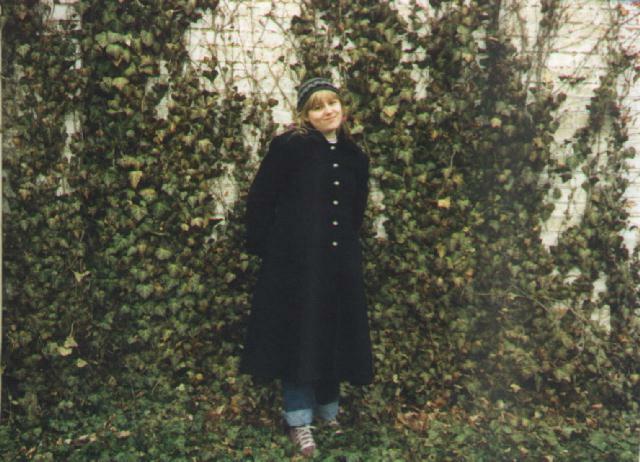 boxfold.jpg: Here's me when I went to Bunk's work at Papa John's. I'm folding a pizza box, now I have a new job skill! We ran around and delivered pizzas that day and I got to watch Bunk make pizza, and then we ate pizza, it was a pizza-filled day! 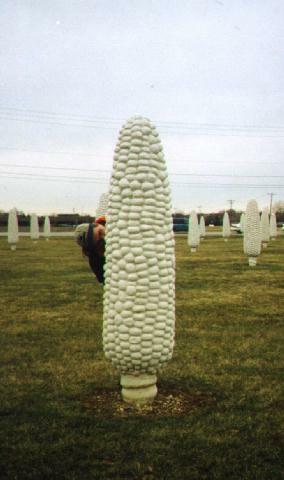 bunkcorn.jpg: We went to this weird field where there were all these fake stone corns sticking out of the ground. 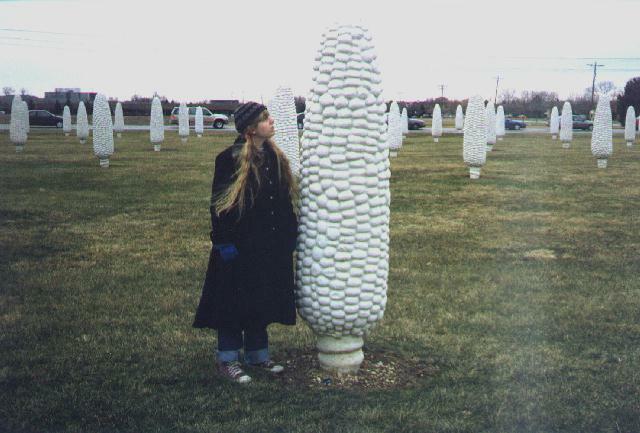 Here's Bunky with a corn. 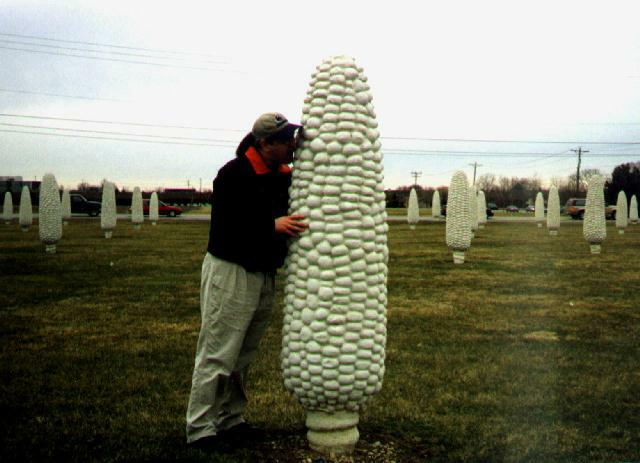 munch.jpg: And here's Bunky munching the corn, apparently he was a bit hungry. . . .
cornlook.jpg: I briefly considered taking a bite too but I feared losing my teeth. 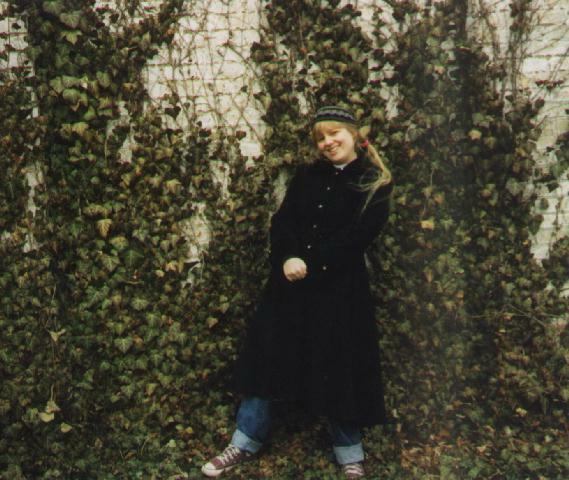 iviniv1.jpg: Here's me in the ivy where I belong, among my kind. :) Bunk thought this would be a picturesque shot. . . .
iviniv2.jpg: And, well, here's another picture of the same thing. zilla1.jpg: This is the day I went berserk and attacked a TV tower in Columbus. See how tall I am? zilla2.jpg: And well I guess I decided to see how it tasted too. 'Twas yum. snowish.jpg: It snowed while I was in Columbus! Here is me enjoying the snow. I was eating it. The day before (I think), I collected snow and added milk and sugar to it to make slushy ice cream. It was yummish!! handmoon.jpg: I am reaching for the stars . . . well, that hunk of rock we call the moon. This is at a nice li'l park thing in Columbus, it is kewl. 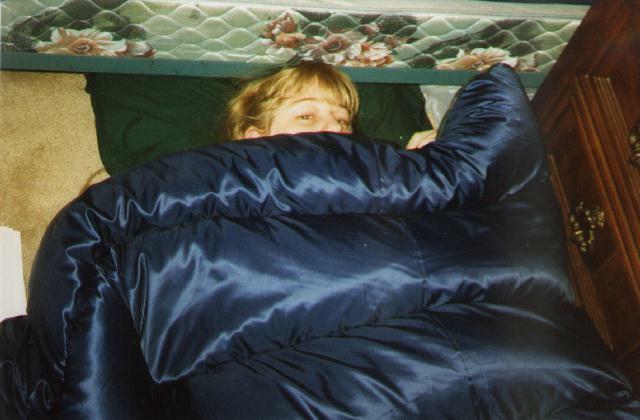 sleepity.jpg: Many days I was quite reluctant to get out of bed. (Or, to be exact, out of sleeping bag.) Here is me expressing my great desire to start the day. Umm, let's see . . . we spent a lot of time watching movies and stuff, and having yummy things to eat. I got to see things around Columbus a little, and we had snow, and I bought books with money I didn't have, and we did Mad Libs and stuff. Oh, we played around on the computer, and saw a movie in the theater, and went to a silly bar where we played pool, got bored, and went home . . . and I got to meet Bunk's roomie and all his fun friends . . . hehe . . . I must say that enduring loud parties and the smell of dog pee did not exactly contribute joy to my visit, but the rest of it was quite pleasant (also overlooking the blackout my last day there . . . *grin*).